Feeling hungry my dear merry-goers? It's the start of the week and I'm back with another food review for you all to check out! 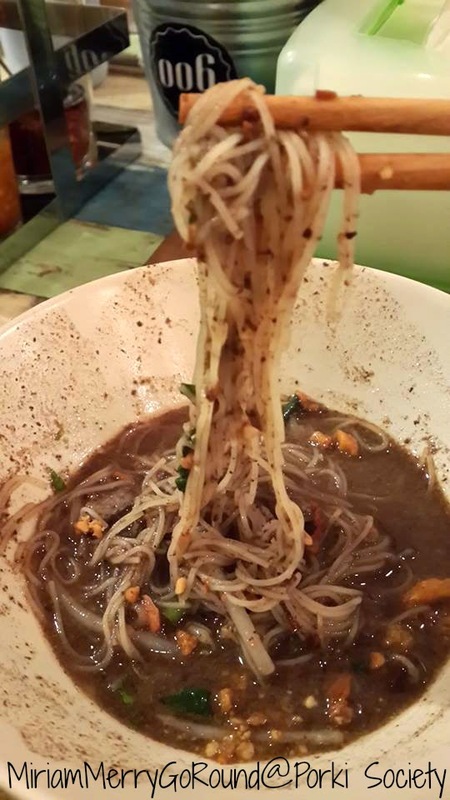 Heard of Boat Noodles? 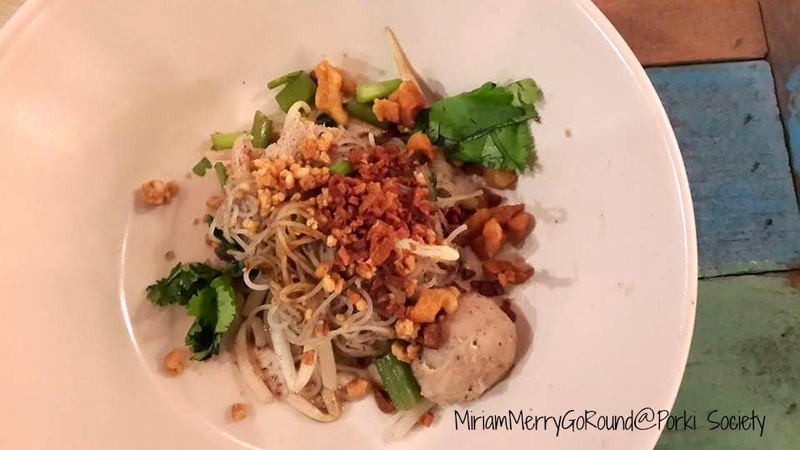 The craze of Boat Noodles started with an outlet at Empire Damansara where the queues are super long and tons of fans have been going there to try out the signature Boat Noodles. 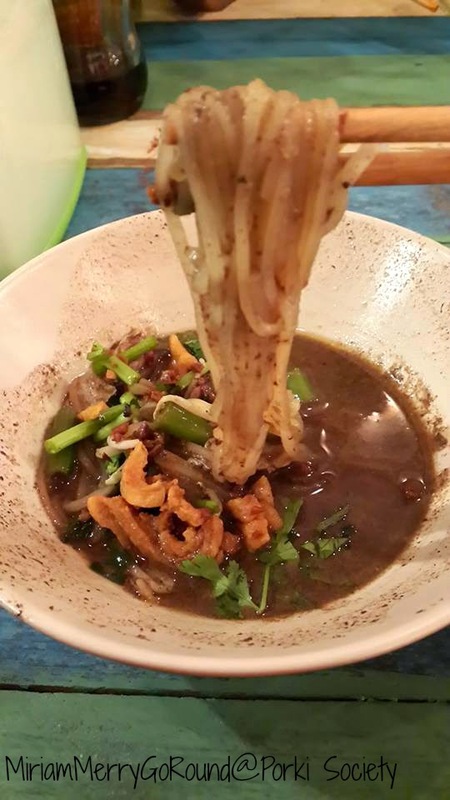 Boat Noodles are actually a Thai cuisine which is rice noodles with beef or pork (and sometimes offal) in a brown broth which contains cinnamon,star anise and sometimes blood. It is spicy and sour. They are sold in bowls and in small quantities which makes them cheap to consume. One bowl in Malaysia is about RM 1.90. Cheap right? 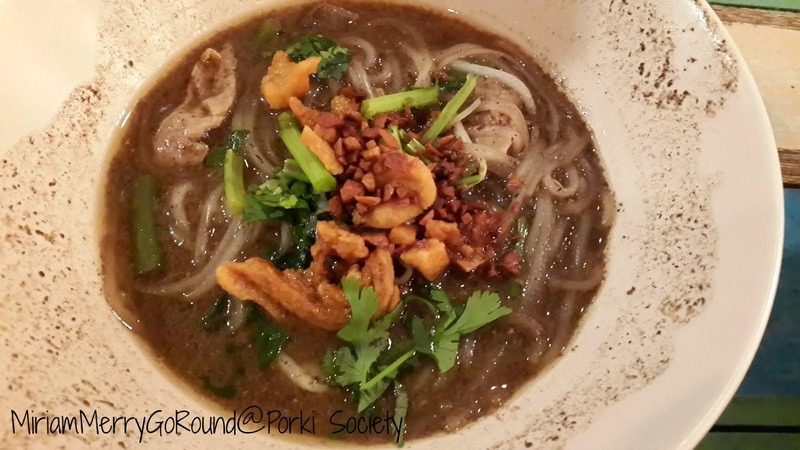 Due to this craze, there have been several Boat Noodle shops which have been popping up in the Klang Valley. 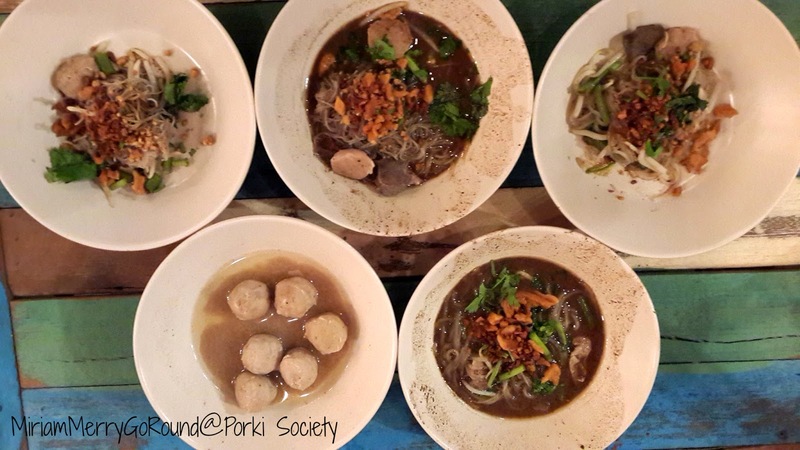 Two weeks ago, I was invited to the soft launch of yet another Boat Noodle enterprise called The Porki Society. 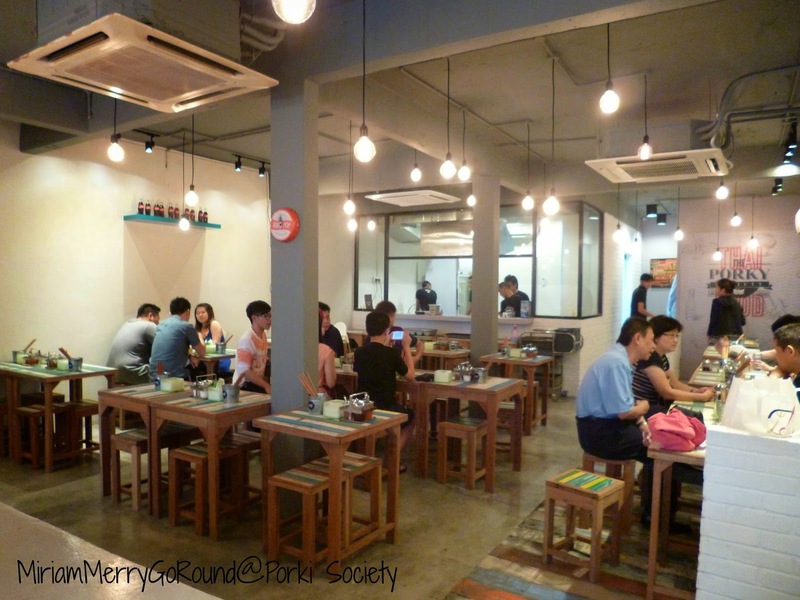 This establishment is located at Seapark, nearby the ever famous Burger Lab. 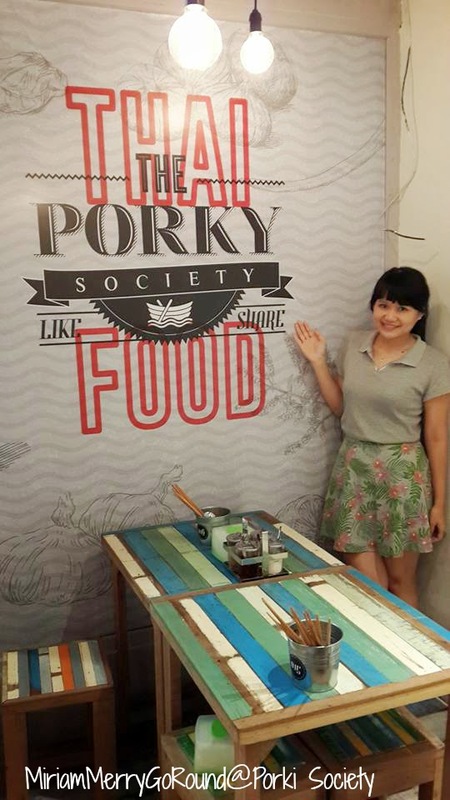 From the name itself, I knew I was going to be indulging in porky bites! 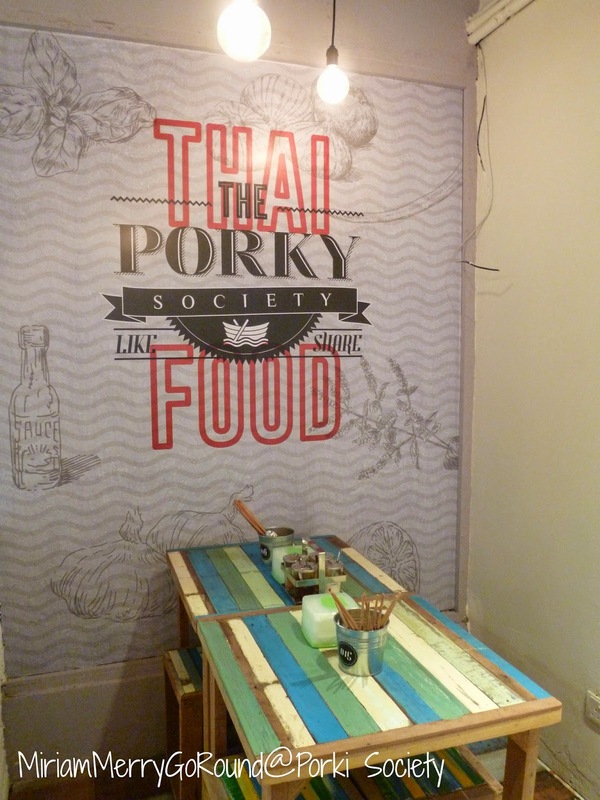 The interior of The Porki Society was decorated nicely with some street-inspired decoration. 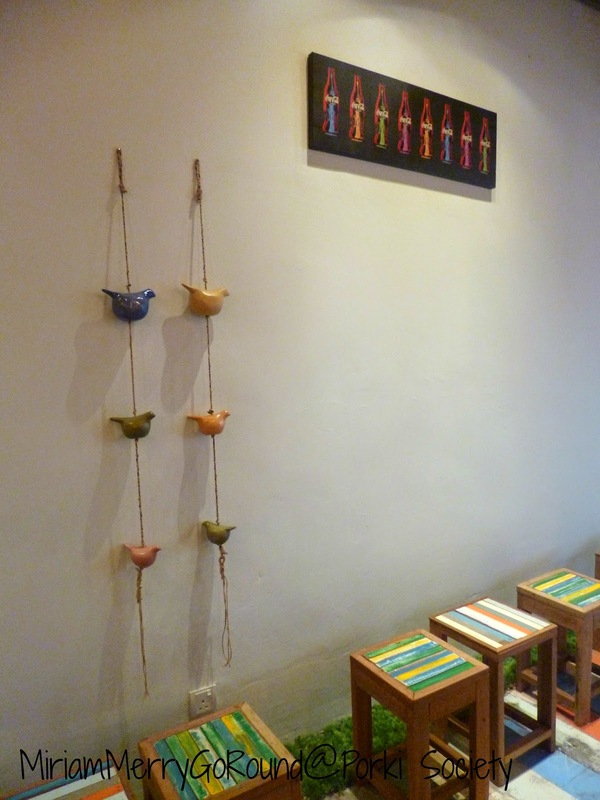 There were Coca-cola bottles, wooden tables and chairs as well as hanging lightbulbs. The place could fit around 60 to 80 people on a full night. 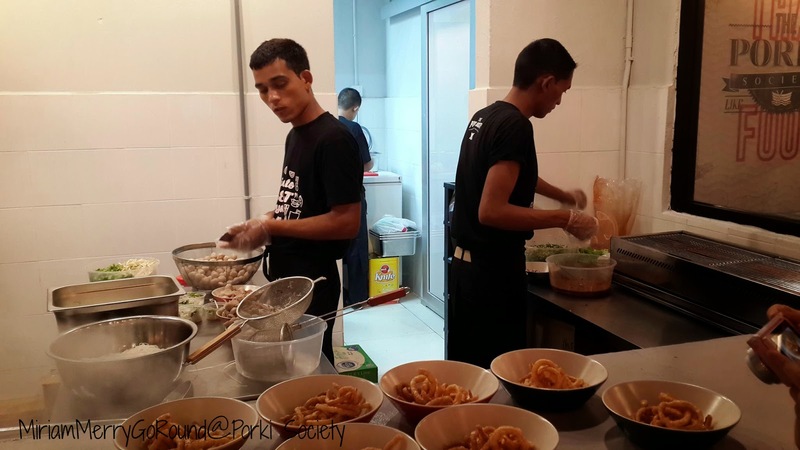 The Porki Society implements an open-kitchen system where you can see how your food is being prepared. This is quite a good concept to use as patrons can see the cleanliness of the food however, good ventilation is really needed for this to work especially for the grilling and barbecuing. 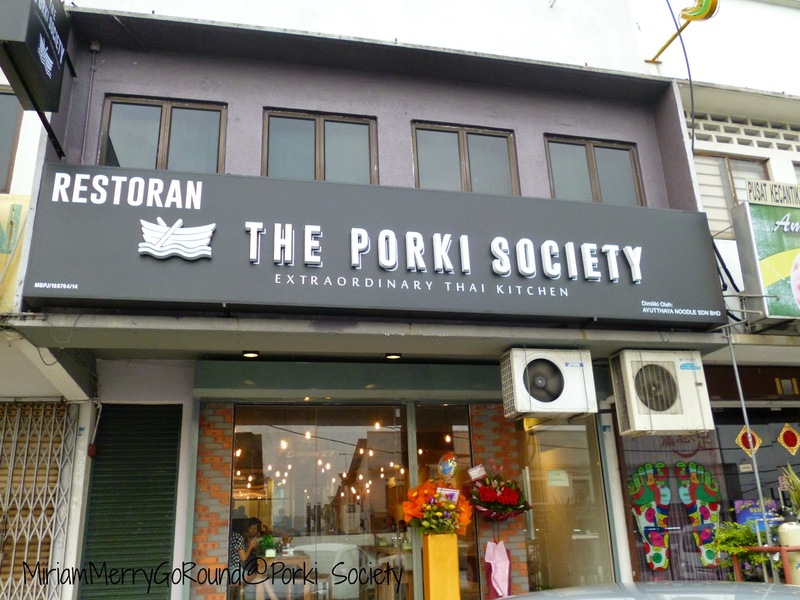 Thank goodness, The Porki Society had good ventilation so that we do not smell like BBQ pork on our way out. So let's move on to the menu. 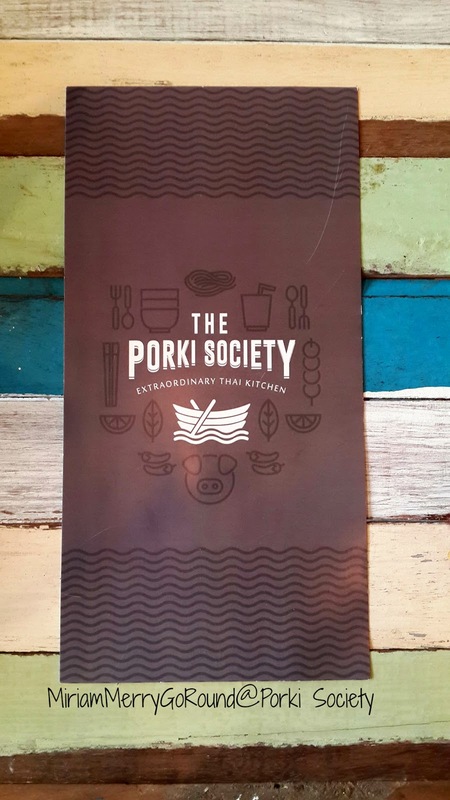 As the name implies, all the dishes in The Porki Society are made with pork. 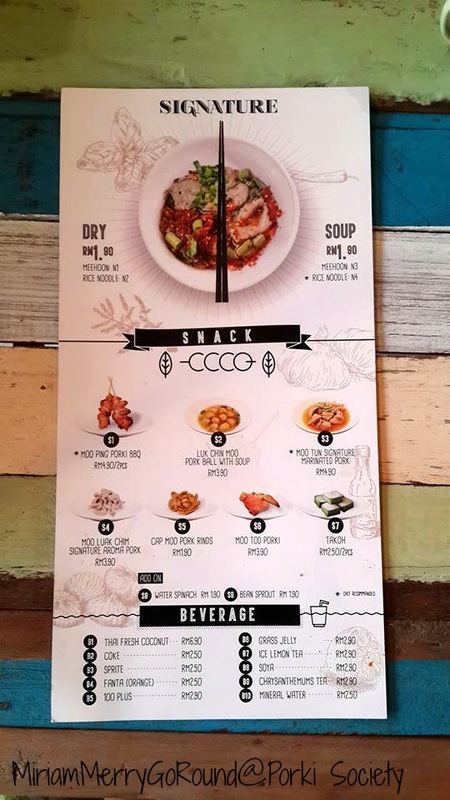 The main food will be the Boat Noodles where you can choose either the dry or soup version and also with either thick or thin rice vermicelli. 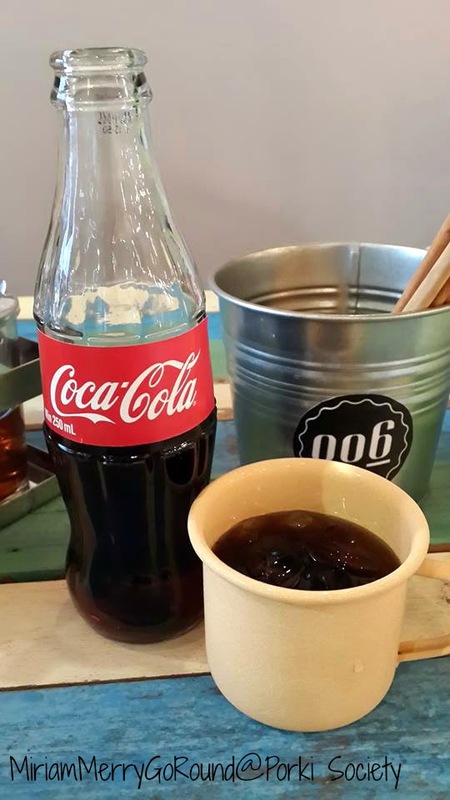 We were served with Coca-cola before making our order. It's classic how they served glass bottled ones instead of the conventional drink dispenser. Totally brings out the feel of olden times and street food. 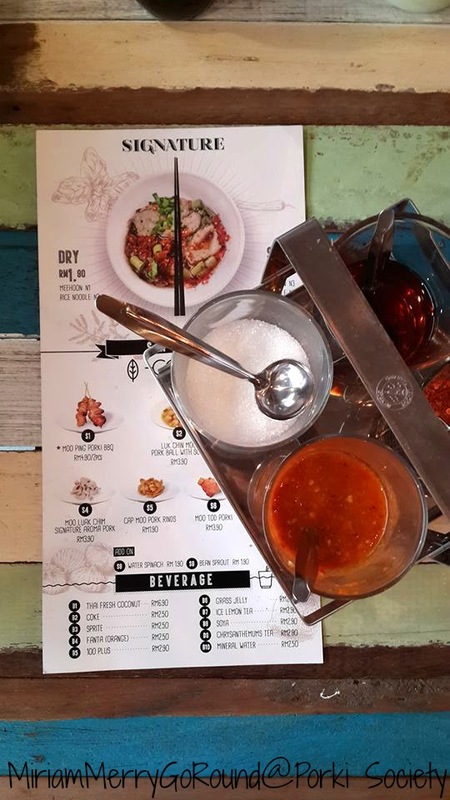 There are 5 different side dishes and a dessert which you can order to pair with your boat noodles. 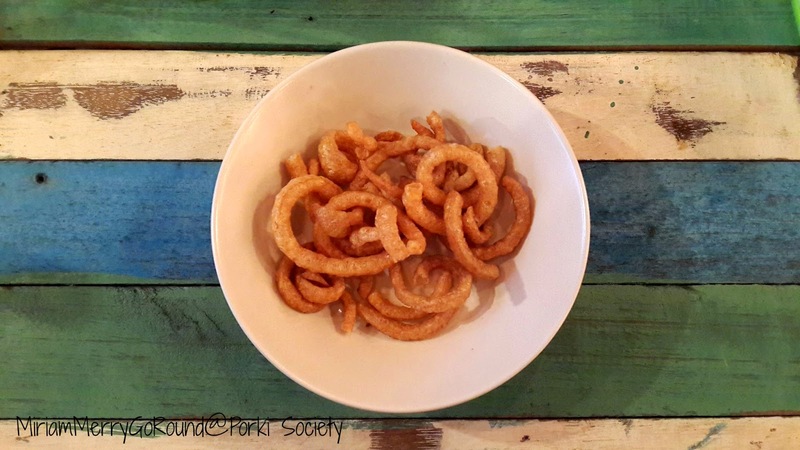 First up is the Cap Moo Pork Rinds (RM 1.90). This are super snacks to much on while waiting for your food. They are crunchy and not dripping with oil. Taste like pork fritters. However, they are rather tasteless as well and taste best when dipped in some dipping sauce. 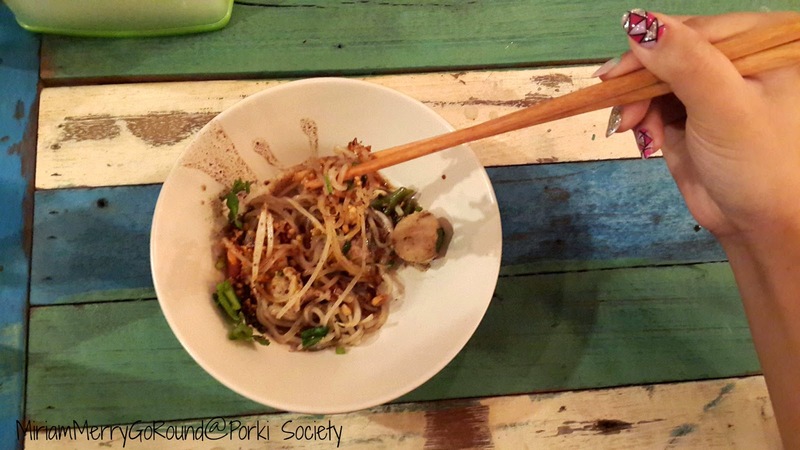 While enjoying your Boat Noodles, you can order a side of Moo Too Porki (RM3.90). 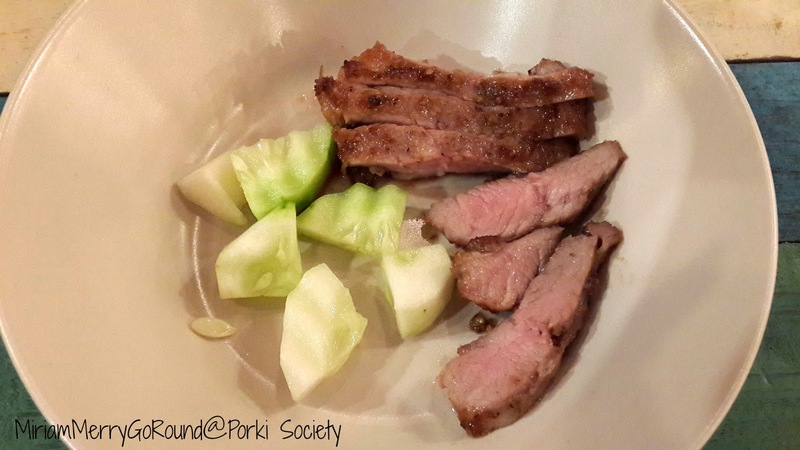 This is really very tasty and reminds me of our Chinese BBQ pork. Grilled nicely, it was not too tough and was still slightly pink. The dish was well marinated as well. I couldn't stop picking at this side dish. 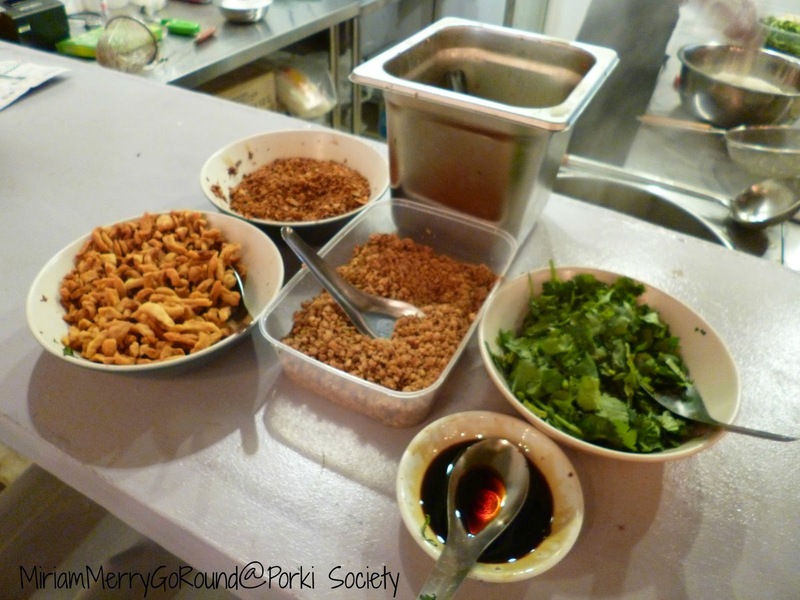 Fancy some pork balls? 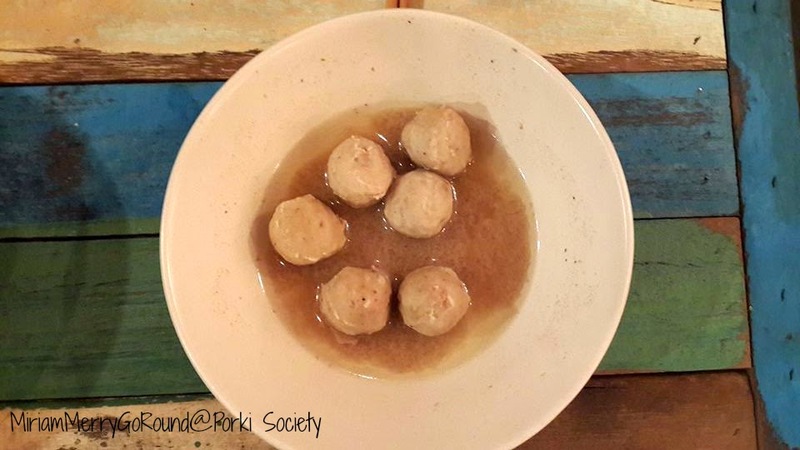 Well, The Porki Society offers Luk Chin Moo Pork Balls with Soup (RM3.90). These pork balls are really bouncy and has great texture when chewing on it. 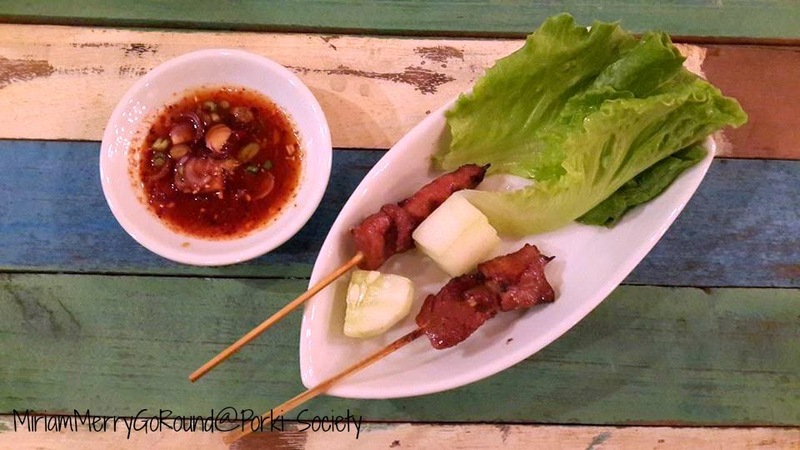 They were well marinated as well and excellent when paired with our Boat Noodles. Prefer something lighter on the tongue? 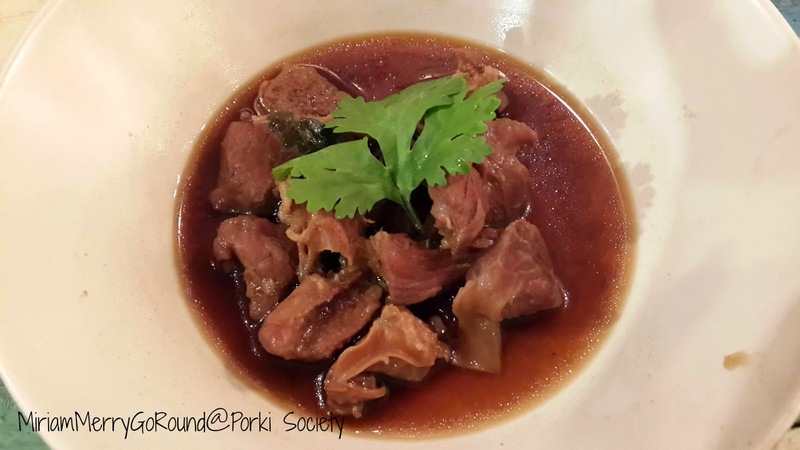 You can try their Moo Luak Chim Signature Aroma Pork (RM3.90). This dish taste lighter and not as heavy as the previous dish. 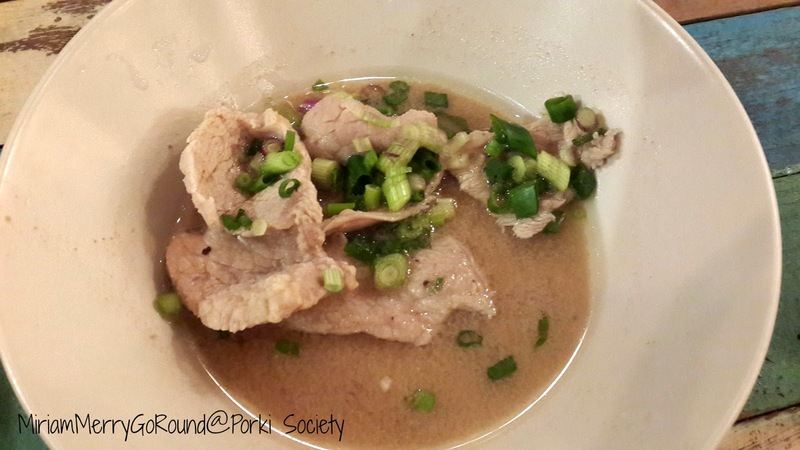 It has a tinge of ginger and cooked with spring onions as well. 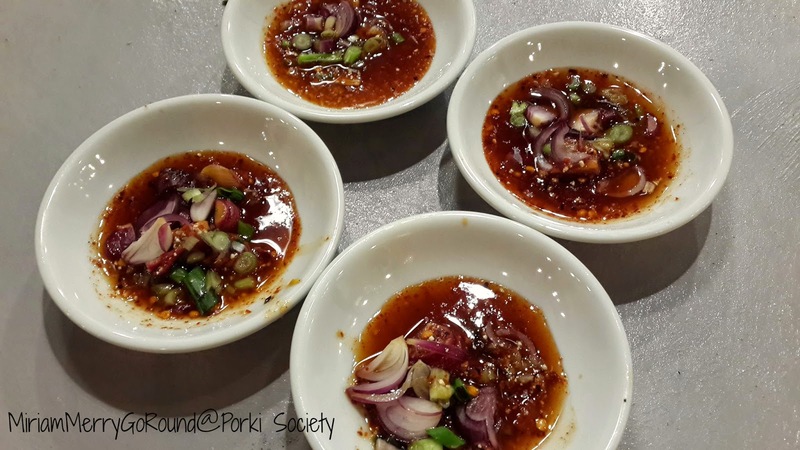 This dish brought out the sweetness of the pork. Finally, the last side dish is the Moo Ping Porki BBQ (RM4.90/2pcs). I'm telling you I so love this dish! It's marinated so well and grilled to perfection! Not too fatty and just tender and juicy! Aah.. Craving for it right now! You can dip it in the sweet sour sauce that they have to give it a bit of a fiery kick. 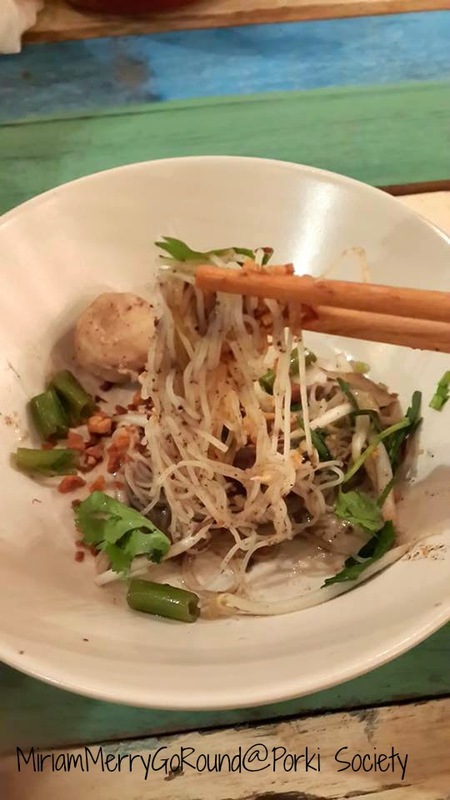 But of course what are all these sides dishes if we don't try out their main dish which is the Boat Noodles! I tried all four variants and this is what I think about it. Firstly I have to say hands down I love the thick rice vermicelli! It is so springy and smooth you can slurp it down your throat. The noodles are also well coated that it was really tasty. I actually like both the soup and the dry version but if I have to choose, I will choose the soup version because of the kick of the Thai spices in it. I could taste the spices in the soup at my first bite and I like the crunch of the garlic added to it. However, unfortunately the garlic was not well cooked that night and had a slight bitter after taste to it. But overall the dish was really tasty. If you think that the portion would surely be small, well for me I think it was just nice. I was quite satisfied at my third bowl but I'm sure for big eaters out there you would just love to challenge how many bowls you can eat! Technically, if I wasn't watching my diet I would have eaten more too! 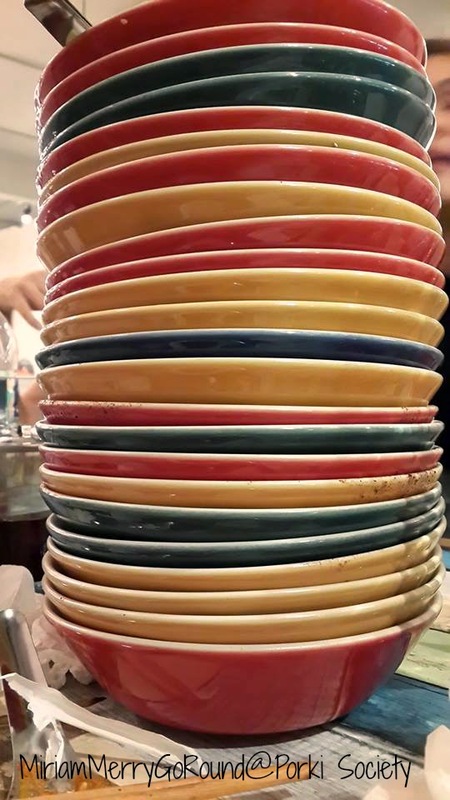 Just check out the tower of bowls at my table. I actually brought some company to try out the dishes at The Porki Society and this was what 5 of us ate. We ate roughly around 30 bowls of items inclusive of all the side dishes and noodles. 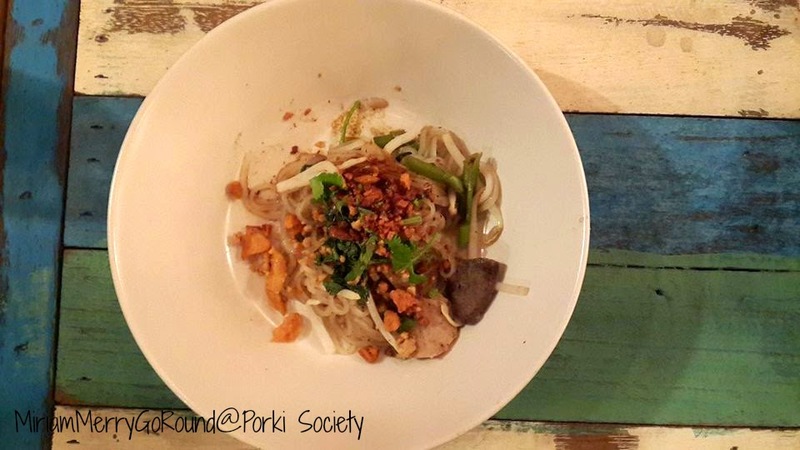 Although service was quite slow due to the large demand and crowd, I had a great time dining at The Porki Society so go on down to Seapark and get your taste of some Thai cuisines which will not burn a hole in your pocket!